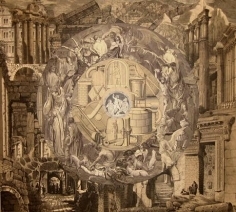 Foley Gallery is pleased to announce the exhibition of collage artist Stephen Aldrich. 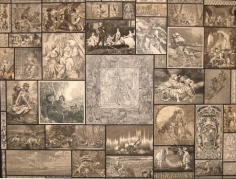 In his New York debut, Aldrich will present 10 paper collages made from existing Victorian era woodcuts and steel engravings. 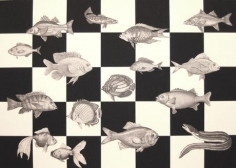 Aldrich selects imagery from a variety of books including science, art and travel. 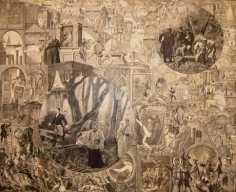 Encyclopedias, dictionaries and children’s books also find their way in Aldrich’s selectively cut and created collage. The obsessive quality of his work is a hallmark of his composition. 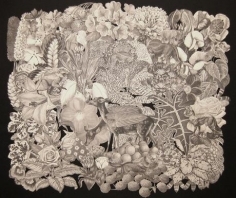 The way in which cut shapes of paper are rhymed and repeated with the imagery creates a pattern unique to each composition. 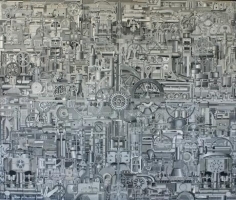 In Mechanism, 2004, the collage is composed of cuttings from three different volumes of the British Journal of Engineering published from 1867 to 1873. The full version estimates a machine from Metropolis or 1984, busily churning under an unknown command producing a suspicious result. There is an affinity to Surrealism evidenced in the juxtaposition of dissimilar or incongruous material. 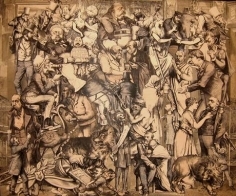 However, there is no intention or attempt to reveal the inner workings of the subconscious as the Surrealist Max Ernst might have done in his own workings of collage. The methodology is more akin with Leonardo and the Renaissance sensibility in the workings of the universe and in Eastern philosophy in the recognition of the connectedness of all things. The idiosyncratic logic of layering creates a language that would seem more likely perpetuated by an outsider artist if it were not for the knowledge that Aldrich studied music composition for piano and that his father was a high school mathematician. Stephen Aldrich (b. Westfield, MA 1947) received his degree from Prescott College, AZ in 1969 where he befriended the artist Frederick Sommer who became a lifelong influence for him until Sommer’s death in 1999. It was Sommer who first asked Aldrich to cut out engravings for him so that he could make his own colleges. 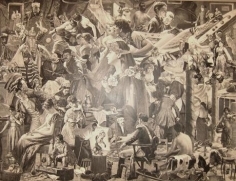 It wasn’t until 1989 that Aldrich made his very own collage. It was made from a 19th century issue of Scientific American, which announced the invention of the incandescent light bulb. 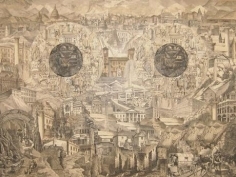 Stephen Aldrich continues to live in Prescott, AZ in a house, which Sommer gave him and devotes most of his time to making new collages from old engravings.